제품 뚜껑 한 컵 분량을 입에 넣고 1분간 가글한 후에 뱉어주세요. 가글 후 물로 헹구지 않아도 되고, 사용 후 5분 이상 음식물을 섭취하지 마세요. 매일 2회 이상 꾸준히 사용하시면 입냄새 걱정 끝! 천에 엎질러진 경우 즉시 씻어주세요. 포장씰이 뜯어진 경우 사용하지 마세요. 사이트 모든 제품은 미국 현지에서 직배송 됩니다. 테라브레스의 치약으로 양치 후 테라 브레스 오랄 씰을 사용하여 구취를 예방하세요! 자극은 적고, 구취제거 효과는 강력한 테라브레스! 구취의 원인이 되는 구취입자 제거에 도움이 됩니다. 양치 후 테라브레스 오랄 린스를 사용하여 입 안을 상쾌하게 하세요. 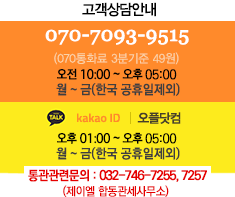 임상테스트를 완료한 제품으로 구취 냄새, 박테리아를 제거합니다. 미국 치과의사들이 추천하는 구취제거 제품입니다. Prevent bad breath by using TheraBreath Oral Rinse after brushing with TheraBreath Toothpaste. Our clinically tested mild mint flavored rinse uses the oxygenating power of OXYD-8 to attack the bacteria that cause bad breath odor and stops sour, bitter and metallic tastes in your mouth. [Warnings] Keep out of reach of children. If spilled on fabrics, wash out immediately. This product was sealed with protective packaging at the laboratory. If seal is missing, do not use. [Directions] Rinse mouth for 1 minute with one capful. Gargle with another capful for 30 seconds to clean your throat, a major source of bad breath. Wait 5 minutes before eating. Use morning and night. For the best Results : Use as part of a twice daily regimen with TheraBreath Toothpaste.